Bai Hua, a student of Liu Hung Chieh, was Beijing-educated. I met Bai Hua in Hong Kong and was lucky that he was an extremely articulate Mandarin speaker because I spoke only Mandarin. I shared an apartment with Bai Hua for a time and he had as strong an influence on me as did Huang Hsi I, especially in terms of lengthening body tissue and opening-closing the joints and body cavities. Bai Hua’s method of teaching was to focus on the most critical information. His emphasis was on creating chi (qi) and yang internal power. A former Red Guard general when he was a teenager, his martial approach was based on creating techniques that only required one or at the most two hits to completely incapacitate someone. Bai Hua studied with other teachers besides Liu Hung Chieh. Bai Hua began learning chi gung (qigong) when he was six years old to cure himself of a case of severe hepatitis. He was sent to a village in the countryside that was so poor that there were no herbs or acupuncture needles. So the local Chinese doctor taught him chi gung to survive. From that time, until he was 13 and met Liu, he had learned chi gung, Northern Shaolin and Eight Drunken Immortals boxing (an internal/external form of martial arts). Bai Hua used to talk about the massive street fights in Beijing between the left- and right-wing Red Guard factions. There, he witnessed young Red Guard bagua practitioners lifting and throwing their rivals on their heads to their deaths. Over time, these battles escalated to the use of swords and spears. It was in these large-scale fights that Bai Hua gained his deep respect for bagua as a martial art of the highest order, especially against multiple opponents in life-and-death battles. Bai Hua’s clarity about internal chi and his mastery of the movement of physical tissue below the skin was as astounding as it was precise. Everything Bai Hua did was purely Taoist with no Buddhist overtones. He emphasized the Fire method of Taoism (which Liu taught him, as opposed to the Water method, which Liu taught me), and was highly trained in inner alchemy. His knowledge of the Hua Shan chi gung tradition and the Old Yang style of tai chi chuan he learned from Lin Du Ying were invaluable in my attempt to comprehend the fundamentals of chi gung. Bai Hua stressed the chi chu dzuo practices. Like Huang Hsi I and Liu Hung Chieh, he emphasized personal practice above all else. Without Huang Hsi I and Bai Hua, I would not have had the background or gung fu to have been qualified to study with Liu Hung Chieh, and would not have been able to comprehend Liu’s work and transmissions. Bai Hua was a student of classical Taoism, in particular the I Ching. 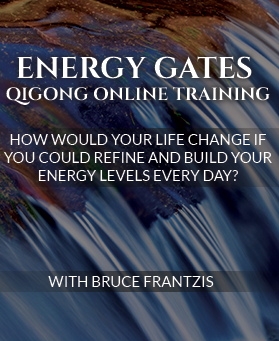 He saw all the chi processes of bagua and tai chi as being nothing more than practical applications of the I Ching. 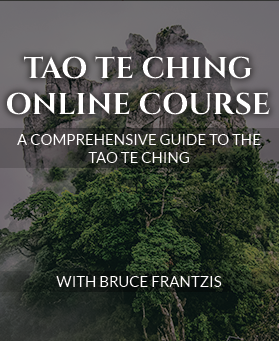 framework of any problem in terms of the I Ching and the various Chinese classics, including the Tai Chi Classics. produce the required flow of chi). Bai Hua emphasized large power movements in the manner of Wang Shu Jin, rather than small movements and changes like Hung I Hsiang and Huang Hsi I. In June of 1981, I visited Bai Hua in Hong Kong on the way to my first study trip to Beijing, where I had been invited to study tai chi at China’s main Institute of Physical Education. I asked Bai Hua if I could train with his teacher while I was there. Bai Hua said he hoped that I could. He told me that Liu Hung Chieh was a recluse in the middle of the city and did not teach people very often. He then added that it was totally unpredictable whether or not Liu would teach me, even if he asked on my behalf. Liu kept his own counsel and often refused to teach people—even some very famous martial artists in China who had sought him out. Bai Hua then proceeded to write me a formal letter of introduction. As I later learned, shortly before my arrival at his home, Liu had had a dream about teaching a foreigner, who fit my description and consequently agreed to take me on as a student. 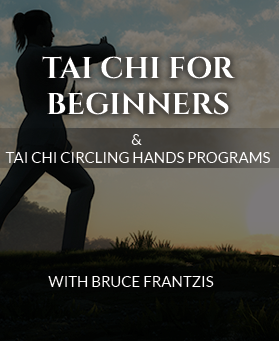 At the end of this training, I became the first Westerner to be certified in the complete simplified tai chi system, including form, Push Hands and weapons.